La Mosaic is a multicultural student club open to any students—including U.S. students of color and international students—who want to deepen their faith, develop authentic relationships, and grow as leaders. Join La Mo, as students call it, to socialize and learn about each others' cultures and countries through meetings, campus events, and weekend and college break road trips. A source of support and friendships, La Mo also serves as a voice to share the needs and concerns of underrepresented students with the campus community. 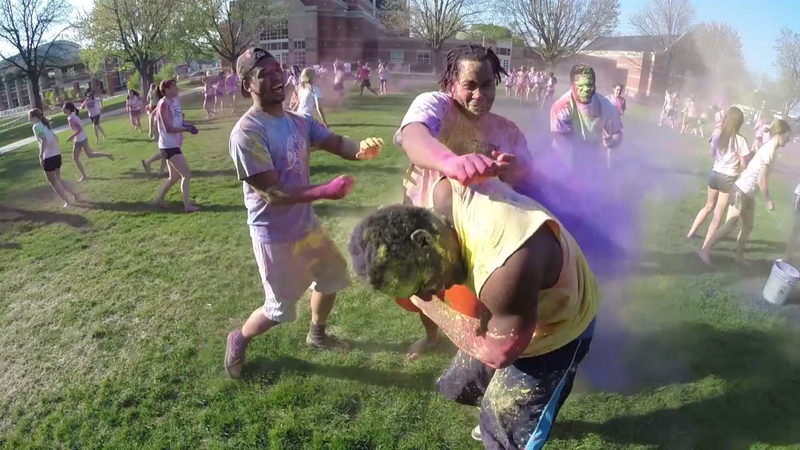 Members of Northwestern’s International Club and La Mosaic multicultural student association shower each other with colored powder in a South Asia tradition that celebrates the arrival of spring.